Automatic External Defibrillator or AED’s are often the last chance cardiac arrest victims have to being revived. This means that having an AED that is properly maintained is absolutely vital. Fortunately there are some tips that you can follow to maintaining your AED, and almost completely ensuring that it works properly if the day comes that you need to use it. There are a few things that you need to check to make sure that your AED is functioning properly. Your AED should never have an expired battery or electrode pads. If the battery or electrode pads are about to expire, or have expired, then you should immediately replace them. These two components are crucial to the AED. If the battery is below standard, you won’t have the power to shock the heart back into beat. Inspect your AED for physical damage. If the AED has visual signs of physical damage you need to contact your supplier and talk about replacing the part or the AED. It is always best to carry an extra set of electrode pads. Even with electrode pads that aren't expired you run the risk of malfunctions. Keeping an extra set of pads with you ensure that you won’t run into that problem. You should perform monthly checks on your AED. Check the AED battery, electrode pads, physical damage, and meters. Because the AED is used only in drastic occasions there should be checks that ensure that when that day comes you have a fully functioning AED. 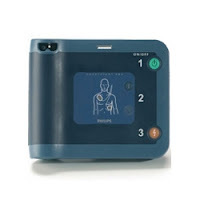 AED’s, when used, can save lives so it is vitally important to keep them maintained properly. These simple checks can help your AED be in performing shape if the day comes that it needs to be used. Heartsmart.com carries a variety of new and used AEDs from the most respected brands including HeartSine, Philips, Zoll, and Defibtech.